Mix all the glaze ingredients in a saucepan. Cook on a medium heat for about 20 minutes, stirring occasionally. Cool to room temperature then chill. Pre-heat a grill pan until smoking hot. Brush chops with olive oil and season with salt and pepper. Fry chops for approximately 3 - 5 minutes each side for medium, basting with the glaze every minute. 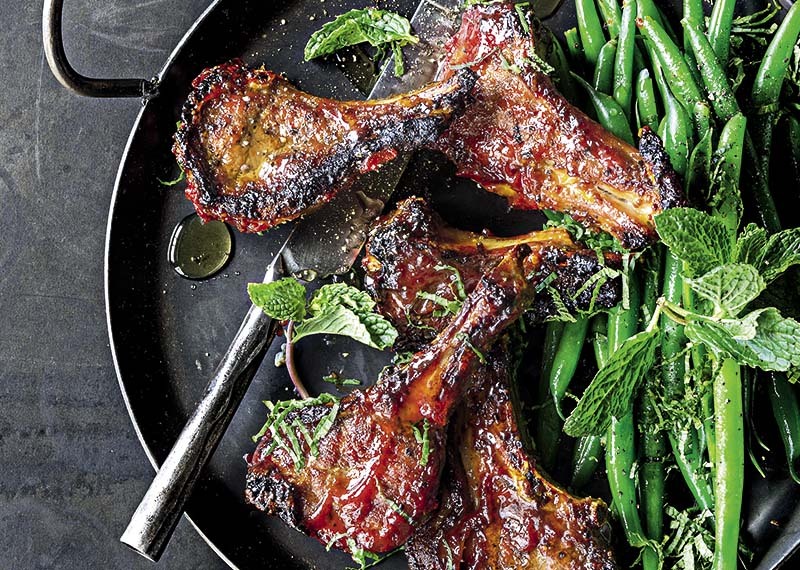 Serve with minted green beans.